I’ve only seen half of the movie “Titanic,” but swimming in the Willow Bowl felt oddly similar. As the Willow Bowl flooded with water Mar. 13, many students took it as an opportunity to get together and piss off campus security. Campus security showed up on two separate occasions to try and stop people from swimming in the water. Security officers stood next to the steps and talked to two students rowing around the Willow Bowl in their canoe. Apparently, there’s electrical lines underground that could electrocute anyone in the water. 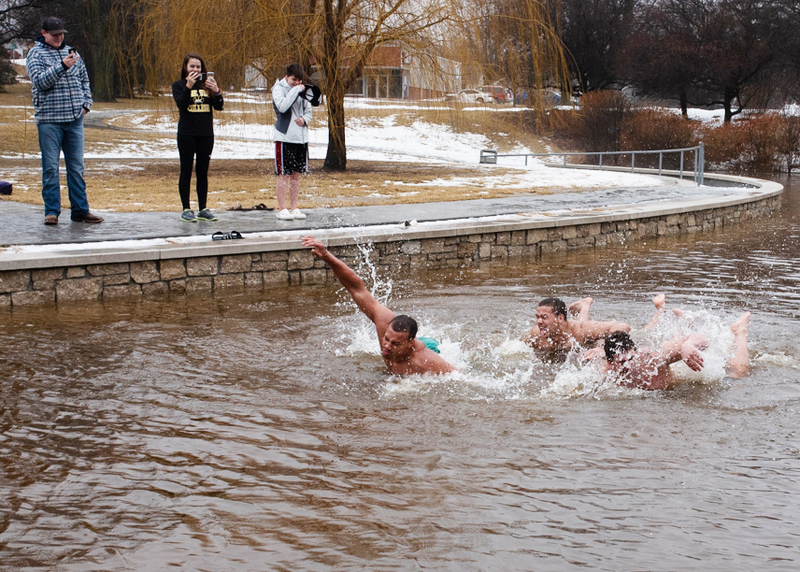 Students waited 10 minutes after campus security left to get in the water. It was only about three feet of water, so it was kind of anticlimactic. A gaggle of college boys showed up in their swim trunks to take snapchat videos of them in the water. An unnamed suspect who I’m gonna call “Boy in the black shorts,” made his presence known. He requested to borrow one of my friends’ floaties. The deal was that he could borrow our floatie if I could talk to him about his Willow Bowl experience for this story. Once he jumped in the water a couple times, he threw our floatie down and walked away quickly. Despite being disrespected by “Boy in the black shorts,” memorable experiences were made at the Willow Bowl. 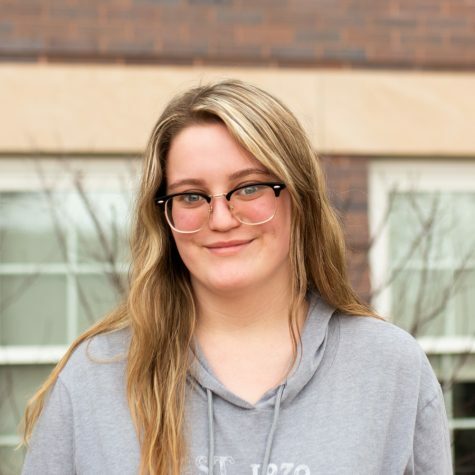 Freshman Kiera Croxen participated in the event unapproved by campus security.